A cookie is a piece of information placed on your hard disk by the server of the website you are visiting. This information is sometimes stored on your computer in a simple text file which the server accesses in order to read and store the information. A cookie has several different functions. It can enable the server that has placed it to recognise the user from one visit to the next by means of a unique identifier. Certain cookies can also be used to store the content of a shopping basket, others store the language parameters of a website and some enable targeted advertising. Who can place cookies and who can access them? An Internet website can only read and write cookies which belong to it. It should be remembered however that a page on the Internet can often contain information from different websites, particularly via advertising banners. Cookies therefore can be placed and read by sites other than the one you are directly visiting. For example, if you surf on a news website, it is possible that other sites – advertising for example – can obtain information on your surfing. To do this, the advertisers place a cookie on the new website that you are looking at. How do these advertising cookies work? Advertising cookies record information on how users surf and can work out their interests and surfing habits on that website. This then enables companies to personalise the advertising which the user will see based on what he or she has done on the website they have visited, and also based on other sites containing the same advertising. Which cookies and trackers are used on this website? 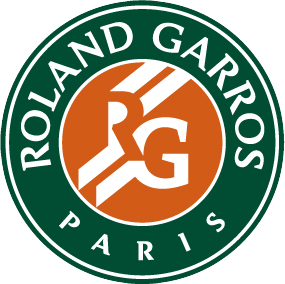 The http://tickets.rolandgarros.com website uses audience measuring and analysis tools. Browser: Internet Explorer 5 (Microsoft): Select "Tools", "Internet Options", "Security", "Personalise the level" ; in the drop-down menu, select "cookies" then "authorise cookies on your computer", then choose "request" to be sent a message or "deactivate" to refuse all cookies. Browser: Internet Explorer 6, 7 or 8 (Microsoft): Select "Tools", "Internet Options", "Confidentiality", then the level which you wish to apply. Browser: Firefox: Click on "Tools", "Options". Under "Privacy", untick "Accept cookies". Browser: Google Chrome: Click on "Personalise and control Google Chrome", then select "Parameters". In "Confidentiality", click on "Content parameters" and tick "Block cookies and third party site data".